Ammonium Sulfate; (NH4)2SO4 is a brownish-gray to white crystalline salt used in fertilizers and water purification. It is an inorganic salt with a number of commercial uses. It is primarily used in fertilizers but is important in other industries as well. Its high solubility provides versatility for a number of agricultural applications. It occurs naturally as the rare mineral mascagnite in volcanic fumaroles and due to coal fires on some dumps. 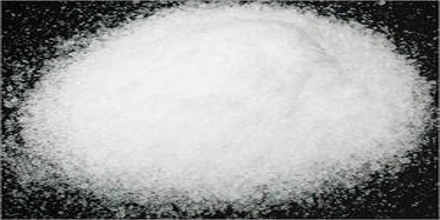 Ammonium sulfate also is manufactured from gypsum (CaSO4·2H2O). Finely divided gypsum is added to an ammonium carbonate solution. Calcium carbonate precipitates as a solid, leaving ammonium sulfate in the solution. Ammonium sulfate, also called diammonium sulfate or sulfuric acid diammonium salt, is a white crystalline solid with no smell. The compound dissolves easily in water but will not dissolve in alcohol or acetone. It becomes ferroelectric at temperatures below -49.5 °C. At room temperature it crystallises in the orthorhombic system, with cell sizes of a = 7.729 Å, b = 10.560 Å, c = 5.951 Å. 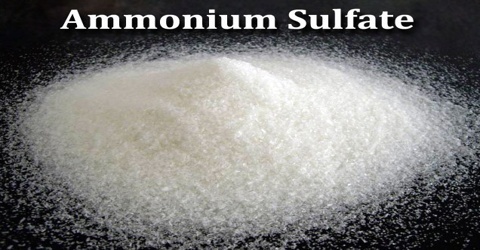 Ammonium Sulfate was made from ammonia released during manufacturing coal gas or from coal coke used to produce steel. 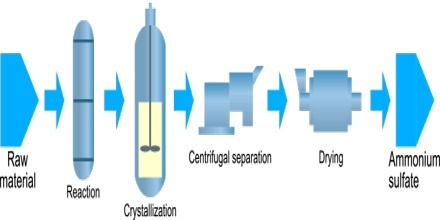 To get the crystal size best suited for the application, they control the reaction conditions by screening and drying the particles until achieving the desired size. Some materials are coated with a conditioner to reduce dust and caking. Byproducts from various industries meet most of the current demand for ammonium sulfate. 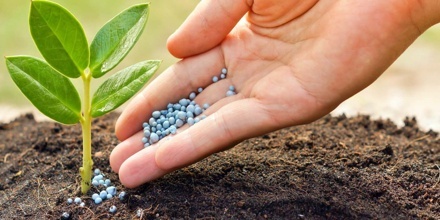 Ammonium sulfate is used most commonly as an artificial fertilizer for alkaline soils. It contains only 21percent N, other fertilizer sources more concentrated and economical to handle and transport often makes a better choice for N-deficient fields. It provides an excellent source of S, which supports or drives numerous essential plant functions, including protein synthesis. It is also used as an herbicide because it will burn the leaves of plants and either kill them outright or at least weaken them for easy removal. Food companies commonly add ammonium sulfate to bread products as a dough conditioner. It’s also a component in fire extinguisher powder and flame-proofing agents. And it serves many purposes in the chemical, wood pulp, textile and pharmaceutical industries. Reference: aluminumsulfate.net, dictionary.com, cropnutrition.com, wikipedia.